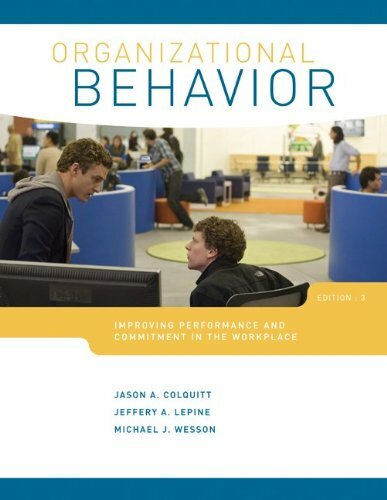 OB really matters – The book opens with two chapters barely covered in other texts: job performance and organizational commitment. Those topics are critical to managers and students alike, and represent two of the most critical outcomes in OB. Each successive chapter then links that chapter’s topic back to those outcomes, illustrating why OB matters in today’s organizations. OB topics all fit together – The book is structured around an integrative model, shown on the back cover and spotlighted in the first chapter, that provides a roadmap for the course. The model illustrates how individual, team, leader, and organizational factors shape employee attitudes, and how those attitudes impact performance and commitment. In this way, the model reminds students where they are, where they’ve been, and where they’re going. OB is all around them – The book includes innovative insert box features that students actually enjoy reading. OB on Screen uses scenes from popular films, such as the Social Network, Up in the Air, Inception, and the King’s Speech, to demonstrate OB topics. OB at the Bookstore draws a bridge to popular business books, including Drive, the 4-Hour Workweek, Linchpin, and Superfreakonomics.